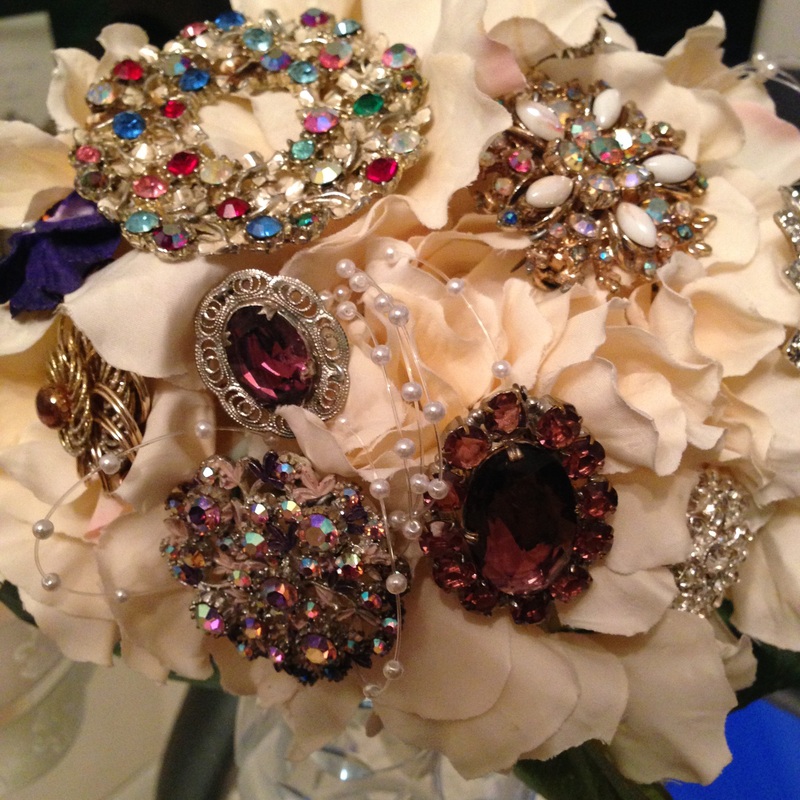 Packed with beautiful semi precious vintage brooches, and cream silk flowers. 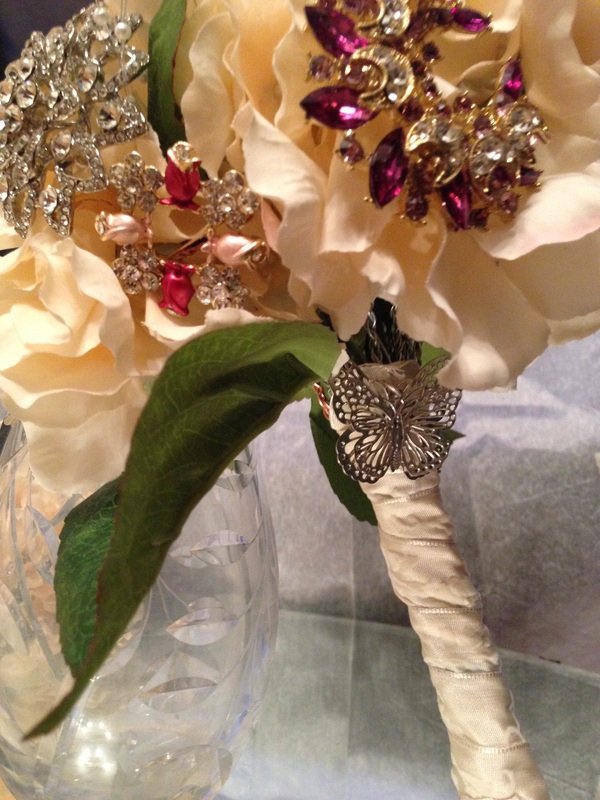 Butterflies and pearls with an ivory velvet handle. If you would like something similar, we could make one for you for around £100.